Growing up, my Mom had old family photographs on the wall. Central in those photographs was a glamorous picture of my maternal grandparents. It is interesting to see your “old” relatives in their younger years. I love that photo of them, and have a copy of my own as well. In my husband’s home, he had a similar wall. His Mom jokingly called it the “dead people wall”. Because it was, in fact, all pictures of his relatives that had passed on. My father-in-law is what you would call a genealogy genius, and takes great pride in knowing his ancestors. However, I think at times he has felt frustrated with the lack of interest from his three sons in learning about their ancestors. I like the idea of an ancestor wall in your home. It gives children an opportunity to realize that they are part of a family that is even bigger than the one that lives within the walls of their own home. For me, it made me curious about my history, and about those people that always looked down at me from the walls of my dining room. One photo in particular always caught my attention as a child. It was a picture of a child, that was naked, although not exposed, and he had long blonde hair. I used to marvel at the fact that he looked like such a girl in this picture, yet it was a picture of my great great grandfather as a child. I asked my Mom about it often. There are ways to display family photos in your home in a tasteful manner, and there are ways where it can just look cluttered, and unappealing. Obviously, we would opt for the first. When deciding to create an ancestor wall in your home, start by making all the photos look generally the same. The key to making this look beautiful is uniformity. Make copies of the pictures. Print them all in black and white, or all in sepia tones to give it a uniformed look. 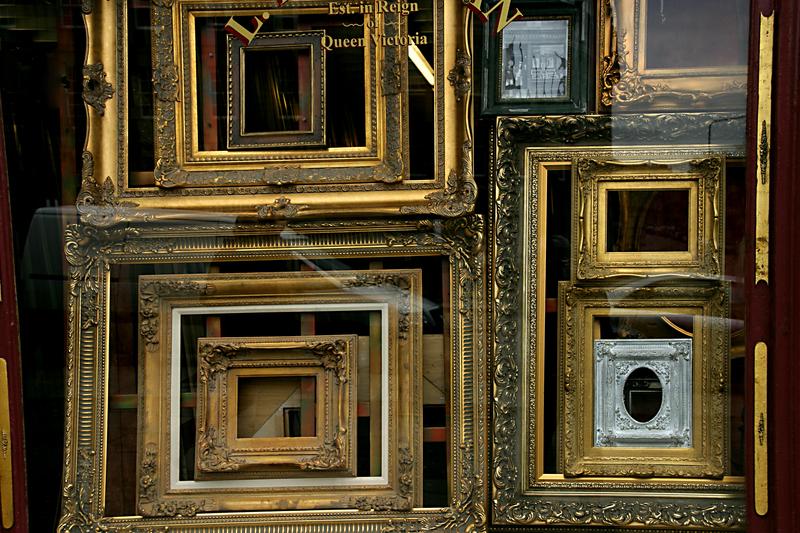 Next, purchase frames that will give them respect. Choose either all black frames, or all wood, etc. As you hang them side by side, this will also help the viewer see what is in the photo rather than what is holding it. Start with a central photo and work your way out. Do not hang too many photos. It might be a good idea to start with a photo of your own immediate family. Then, display a photograph of the grandparents on both sides. If you are choosing a photo of the maternal grandmother at age 10 because you love that photo, try to choose a similar picture of the paternal grandmother or grandfather at the same stage in life. Lay your frames out on the floor first before trying to hang them. You want to plan out distance between each frame so that it looks uniform throughout the entire wall collage. Try to keep your pictures to around 10-12 photos. You do not want too many pictures because then it will become cluttered looking, and unappetizing for the eye. If you have additional photos you want to display, think about creating an alternate spot in your house where you can display more in a similar fashion. I hope to someday have my own ancestor wall in my house where my children can gaze up at those pictures and wonder. And, hopefully, they will be interested enough in those people to ask questions, and learn about their own heritage.